Mr. Wlodarczyk is a 30-year veteran of the real estate investment industry. He is a collaborative leader and trusted advisor; who has a passion for individual and corporate success. He spent a career leading several business units of the largest global real estate services firms where he consistently delivered outstanding performance, in large part by developing new initiatives, managing the process while recruiting and developing new talent. Mr. Wlodarczyk has been active in the Investment sector overseeing operations and initiatives at Cushman Wakefield, formerly DTZ as head of Capital Markets, Americas. His group was responsible for strategic capital structuring and sourcing during the great recession, resulting in significant cost reductions for corporate clients and investors. Prior to joining DTZ, he was head of strategic corporate accounts and regional business development for Transwestern’s Midwest region. His leadership resulted in adding over 5 million square feet of new asset/property management and agency business to the firm. Prior to joining Transwestern, Mr. Wlodarczyk was Executive Vice President and Co-founder of TSG Real Estate, a Private Equity Firm where he was responsible for Acquisitions, Asset Management and Investor Relations for of a national portfolio of Office, Industrial, Retail and Multi-Family Assets in excess of 5 million square feet valued at over $1B. 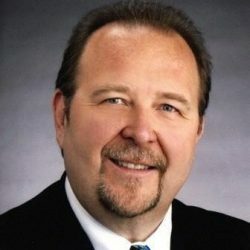 Prior to joining TSG, Mr. Wlodarczyk was the Vice President and Midwest Managing Director of Coldwell Banker Commercial NRT (CBC), the largest affiliate of CBC network of companies. Mr. Wlodarczyk has served on several real estate associations’ board of directors and is a featured speaker at local. Regional and national real estate investment events. He attended Loyola University and majored in business and communications disciplines.